an archival exhibition, collecting twenty years of socially engaged art projects and actions from around the globe, organized by creative time. 1 – plan of the ‘living as form’ exhibition. an existing network of resources are brought into the available space of the project. the functioning essex street market, the organization of the vendor areas, the materiality of the stalls, the lighting and density of the market space. 2 – axonometric of archive shelf variations. shelves are provided only as a framework for content to be adjusted by curators, artists and visitors. 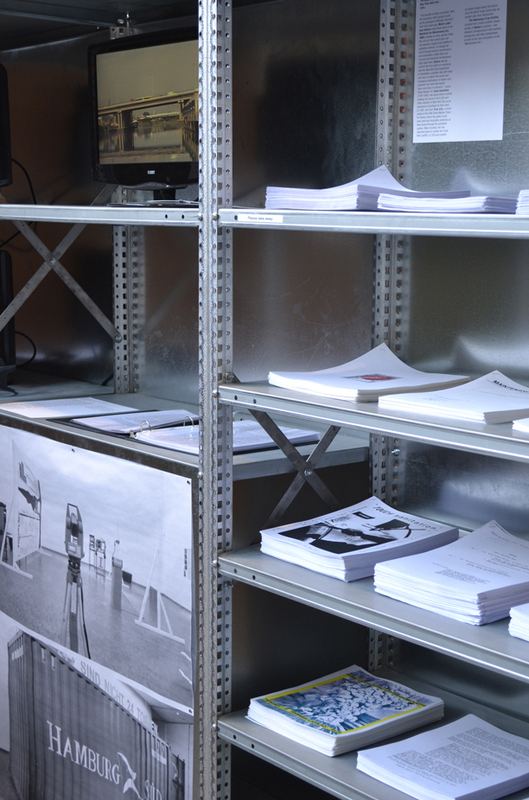 5 – detail of video archive. triangular platform areas are left open to be used for display. 6 – galvanized metal shelf detail. each project is given a standard modular shelving unit which can be configured as required. 7 – detail of a social space. 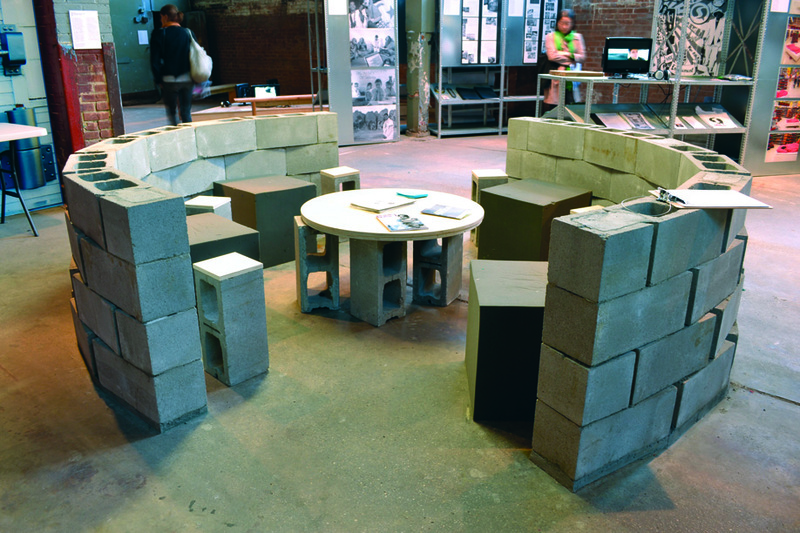 three circular gathering spaces were continuously programmed during the run of the exhibition, hosting presentations, discussions and workshops, or simply functioning as lounge area and café. 8 – bik van der pol project room. the project rooms for the invited artists are small and open and encourage expansion into the social street area. other less defined areas are left open to be used by any. both areas require a negotiation of space. 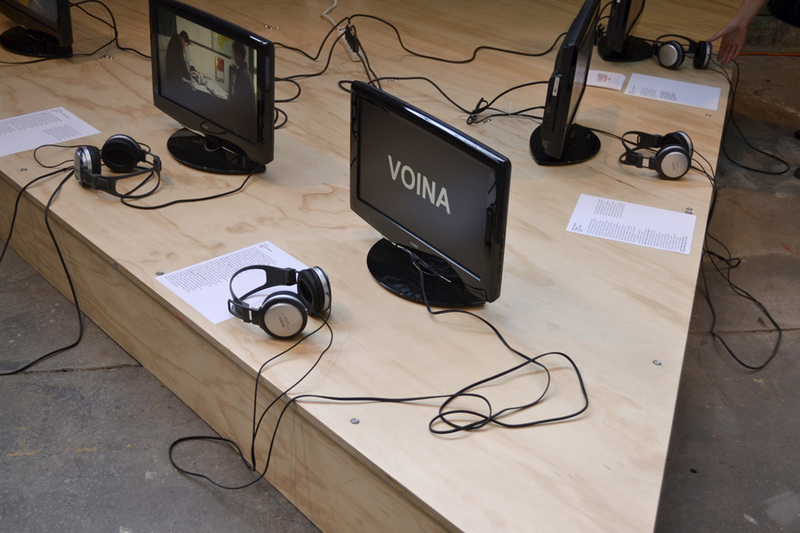 the exhibition played host to a series of events and performances, and offered dynamic areas for artists and collectives to work in residence for brief periods on installations and collaborations throughout the show. 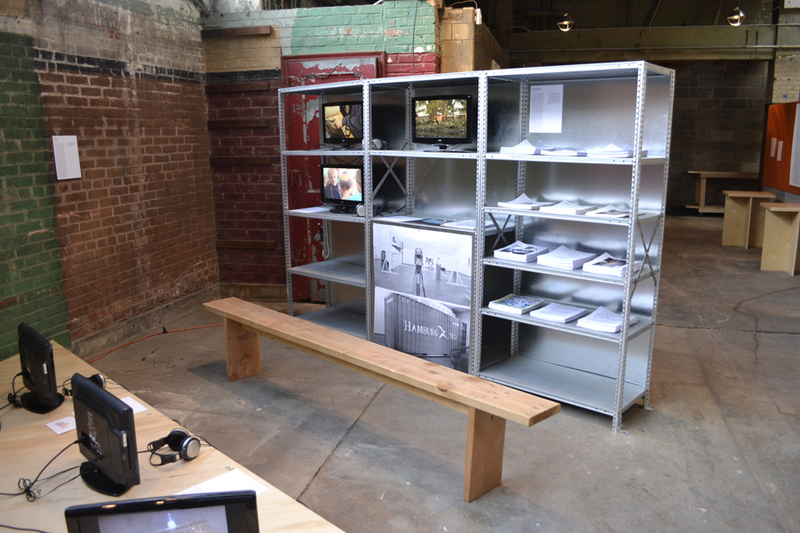 the exhibition was located in the 15,000 square-foot essex street market building in the lower east side of manhattan. 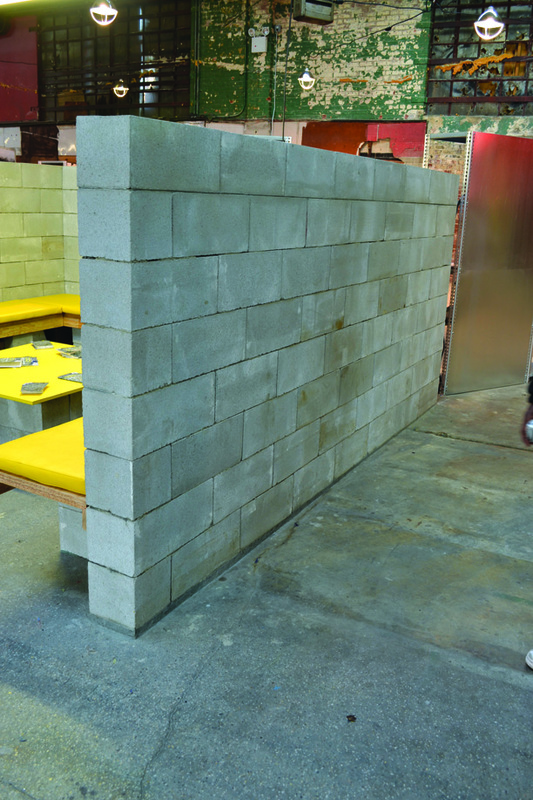 the exhibition space was organized by a series of low concrete block walls framing a social area as a street running through the length of the building. along the walls six project rooms were located, opening onto the central space to encourage interaction of the individual projects with each other and the visitors. additionally three smaller, defined gathering spaces were continuously programmed during the run of the exhibition, hosting presentations, discussions and workshops, or simply functioning as lounge area and café. beyond the walls the archive of projects was displayed. each project was given a standard modular shelving unit which was configured as required. the archive was set at an angle so as to orient the art work at an oblique in reference to the central social area and the entry in order to provide more exposure. all new temporary wiring was run above along a grid of suspended wires for lighting and for power for the audio visual components reflecting the organization of the layout below and keeping the infrastructure as unobtrusive as possible.